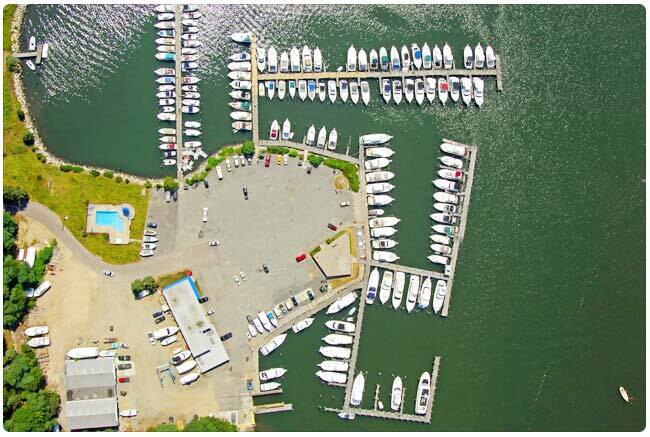 Fill out the form below to book directly with Mystic River Marina. We will contact you promptly. The rate for transient dockage is $3.50/ft. per night. Fifty (50) amp service or a second 30 amp is an additional $20 per night. 100 amp service is an additional $40 per night. When totaling your reservation, there is a 6.35% tax on dockage but no tax on additional power. Discounts: We offer discounts for stays of more than 6 nights and for groups of 5 or more boats. Please call us at 1-800-344-8840 to find out more. If you have a Dockwa account, feel free to make your reservation by clicking the button below. One 30 amp receptacle comes with your dockage. You may upgrade the amperage and/or add a second receptacle. If needed, we can provide you with one extra receptacle.